My first gluten-free meal out after my doctor recommended I eliminate gluten was at Waldo Pizza. That was four years ago, so they were a bit ahead of the curve. 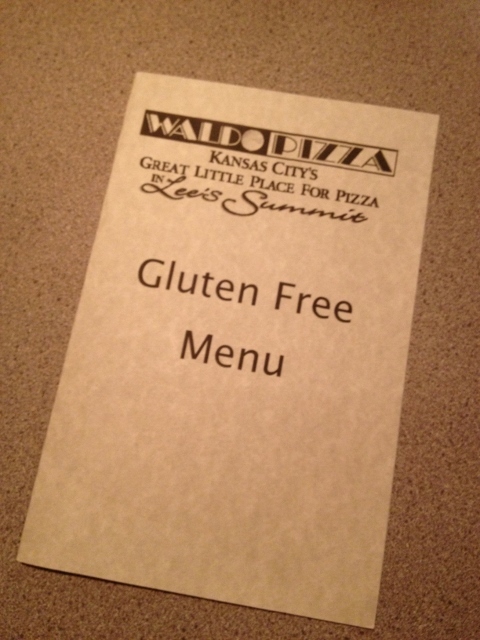 When it was tricky to find a gluten-free meal out or a restaurant with staff who knew what that meant, Waldo Pizza had it figured out already. I thought it was about time I wrote a blog post and shared a few photos with you about this gem that is local to me. It’s nothing fancy, two locations that are both just neighborhood pizza joints. But the food is always good and they do gluten-free well. A separate gluten-free menu is available. The regular menu also does a pretty good job of indicating what’s available gluten-free, but ask for the separate menu anyway. I’ve got no photos of this part to share with you, but they have a good selection of gluten-free beers and ciders. New Grist, Redbridge, Bard’s Tale, Green’s, Angry Orchard, Ace Pear Cider and several others. That’s a nice option to have if you like beer with your pizza! There are a couple of appetizers options that I really like. 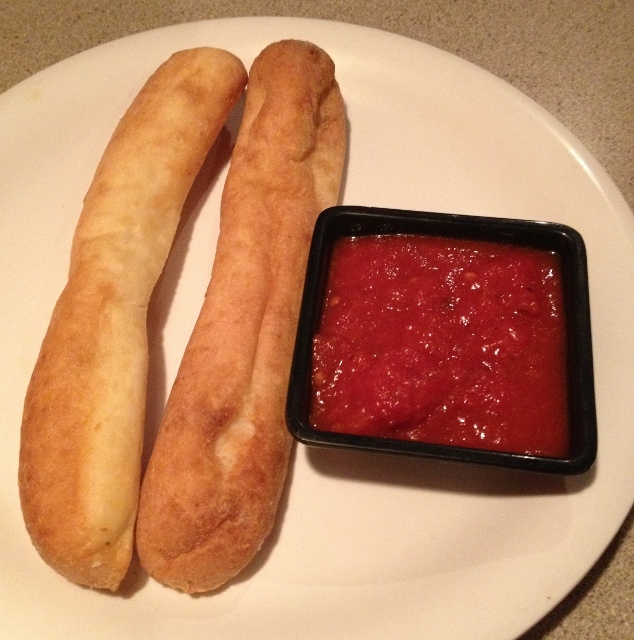 For about $2.50, you can get two gluten free breadsticks with marinara. 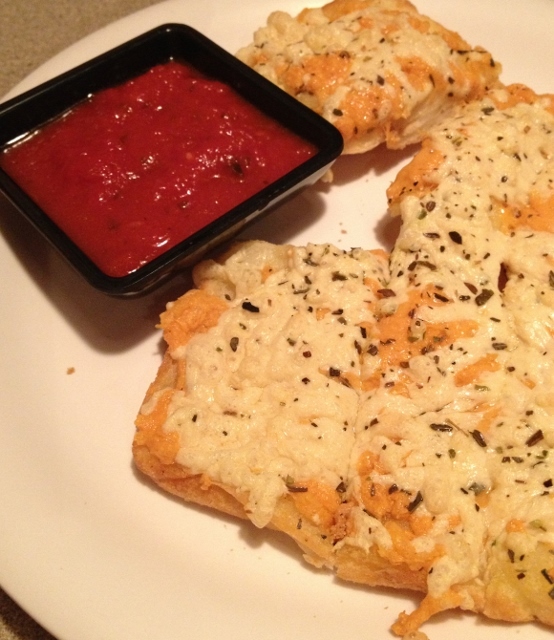 They also have gluten-free cheesy garlic bread. There are a few non-dairy cheese options available (yep, more than one brand, ask the server for details) and I get mine with Daiya. Gluten-free pizza comes in two sizes, 6″ and 12″. It’s a crust from a KC-area bakery, Olivia’s Oven. It does contain egg. The menu says as egg-free option is available. Like with the cheesy garlic bread, I get my pizza topped with Daiya. Here’s the most surprising part of the menu to me: there are numerous gluten-free dessert options. Cookies from Olivia’s Oven, brownies from Be Free Bakers, a lemonade cake and this delicious cappuccino cupcake, also from Be Free. Waldo Pizza has two locations: 7433 Broadway (75th and Wornall) in Kansas City, MO and 1543 Douglas Street in Lee’s Summit, MO, near the movie theatre. Eat With: Minimal Caution. Please advise your server of your dietary restrictions and severity. Ask questions, as always. 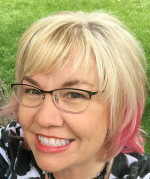 « Maker Faire KC: Healthy Food Demonstrations! 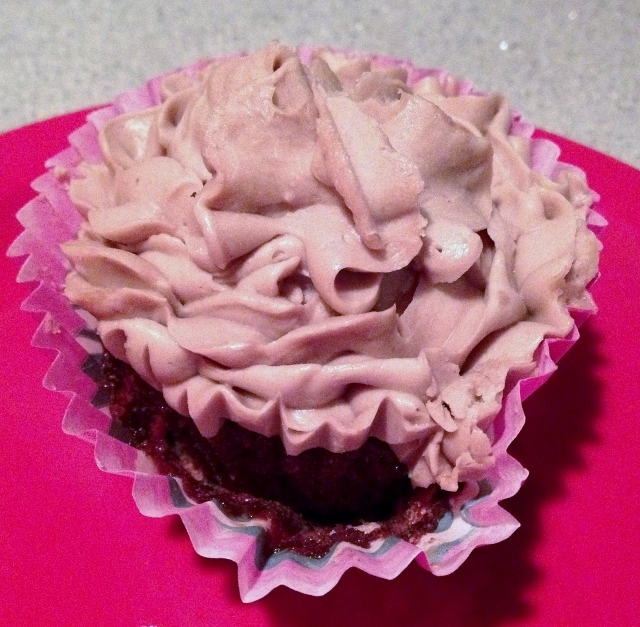 Wow, gluten-free desserts too? That is rare! Gluten-free pizzas are becoming easier and easier to find, but not desserts. Very cool! I agree! 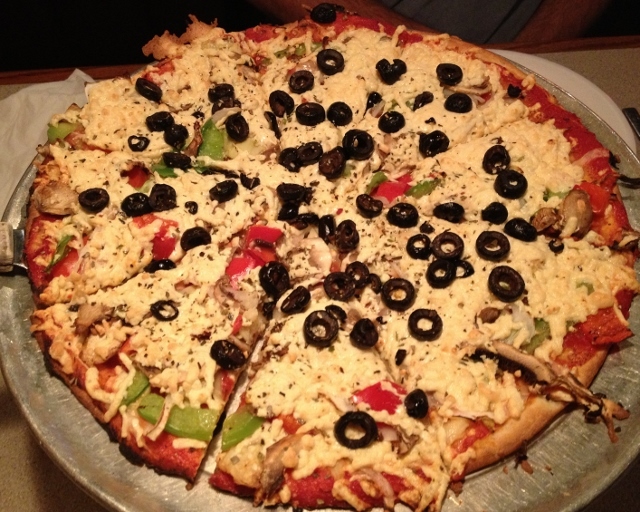 Pizza is one of the easiest dishes for me to find gluten-free, but rarely is there a dessert option at a pizza place. I like that they are getting theirs from local bakeries, a nice touch! I lived in KC from 2006-2009 (pre-gluten-free days) and Waldo Pizza is one of the few restaurants I miss. 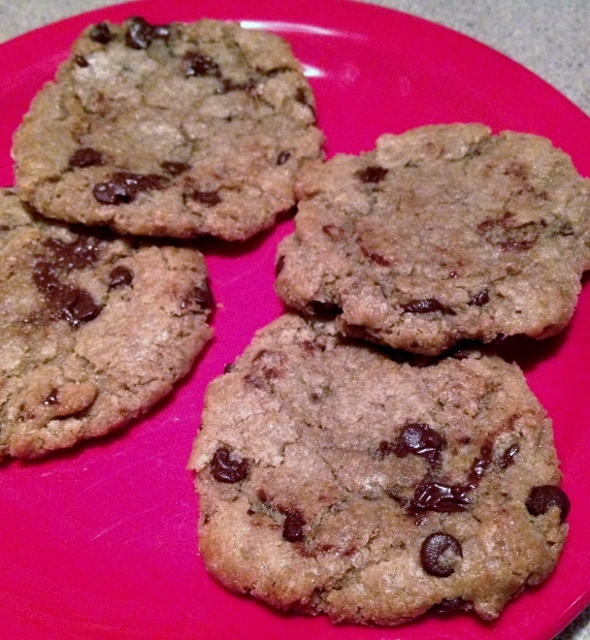 Not surprised they were early gluten free adopters, they are just awesome. I agree! I also ate there pre-gluten-free days because they had so many vegetarian options. They do make it easy!